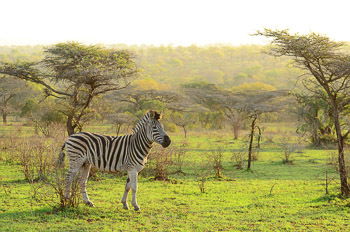 Book a private safari with no one in the vehicle other than your group. This has many advantages. Because you are the only guests, you can decide how much time you wish to spend at an animal sighting. You also get to decide on the focus of your safari, i.e. whether you want to look specifically for birds or plants and scenery, or whether it’s purely the Big 5 you’re after. Whilst on safari, we stop when you ask us to and spend as long as you wish at that sighting. After all, it is your Tailor Made Safari! You determine the departure and return times (up to a maximum of 12 hours per day). If you would like to get up extra early to make use of the best light for photography, no problem, we’ll adapt our day accordingly. Alternatively, if you would prefer to sleep in and enjoy the evening sunset, that’s also not a problem. Please note, however, we do need to take heed of the parks’ opening and closing times. You get to choose from the following breakfast options: 1: champagne breakfast with croissants, 2: health breakfast with muesli, yoghurt and fruit, 3: full English breakfast with fried eggs, sausages etc., 4: freshly baked banana pancakes with coconut sprinkles! You get to choose from the following options for lunch: 1: Sushi Safari lunch with a wide selection of sushi, 2: pesto pasta salad, 3: sandwiches made from delicious breads, including cheeses and meats. Of course we provide matching wines. You get to enjoy real filter coffee in the morning and in the afternoon a delicious satay snack! Who says we can’t cook in the middle of the bush? You get to choose whether you want to travel all day in our luxury cars with air conditioning or, at an additional cost, in an open game viewer once inside the park. Our catering is luxurious. Unlike our colleagues in St Lucia, with us you eat off ‘real’ plates and drink from ‘real’ glasses. We provide filter coffee instead of instant coffee, a cooked breakfast with or without champagne, sushi for lunch... We cannot make it any more luxurious than that! If possible, the night before the day safari, our guide will contact you to note your meal preferences, specific interests and desired departure time. This gives you a truly personal experience, tailored to your interests. 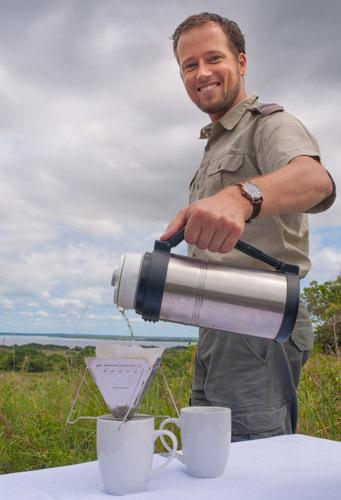 Our guides are highly trained and can tell you about anything during your day trip, including plants, geology, history, birds, big and small game, etc. You can also borrow our top quality binoculars, at no extra cost! Should you prefer an open game viewer to our luxury cars with air conditioning, we can arrange one for your day trip. Please let us know in advance. The additional cost for this is R1500 per safari (not per person). If you would like a wildlife photographer as a guide to accompany you on your day trip and provide all kinds of photography tips, for an additional cost of R1000 per safari (not per person), we can organise this for you. In short, for a top-experience, book one of the day trips below! Only with us you can get real filter coffee! 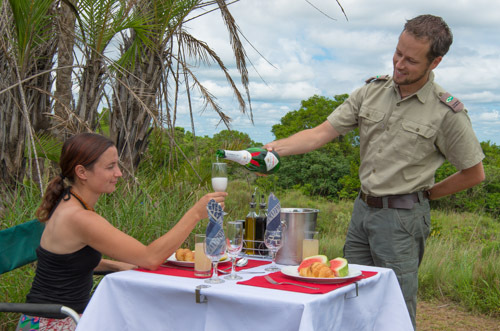 And what about a champagne-breakfast in the bush? 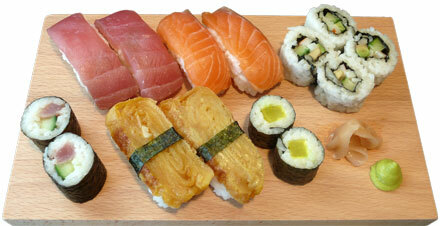 Sushi is a delicious, fast and light meal. 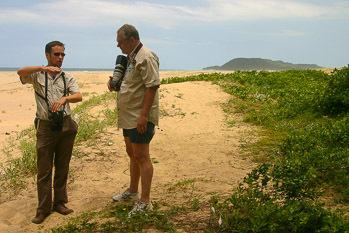 Wetland game drive: Experience the beauty of the iSimangaliso Wetland Park’s Eastern Shores. This is a beautifully diverse and photogenic park on the coast, a mere five minute drive from St Lucia. You have a good chance of seeing hippos, buffalo, rhinos and whales! 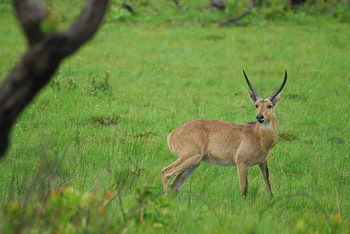 The game drive takes you through wetlands, grasslands, forested dunes and along lakes , the beach and the Indian Ocean. We will visit Mission Rocks, Bhangazi Lake, Cape Vidal and Catalina Bay. Plus, you will have time to enjoy the beach or snorkel! For more information about this park visit the Eastern Shores fact file link. Daily departure at 6:00, expected return around 16:00. Remember, your safari is customised, so you determine the exact times. At your request we can arrange body boards and snorkel sets at no extra charge. The cost of the safari is all inclusive (entrance fees, private transport, private guide, lunch, breakfast, snacks and all drinks). 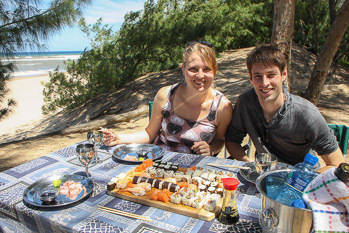 Your breakfast is served at a beautiful spot overlooking the park, while lunch is usually served at or on the beach at Cape Vidal. Add R1500 per safari (not per person) should you prefer an open game viewer instead of our luxury closed vehicle. Hluhluwe-iMfolozi Big 5 game drive: We are happy to take you on a luxurious private safari to the famous Hluhluwe-iMfolozi Park. In this park, you have a good chance of seeing lions, rhinos and elephants and, with a little luck, wild dogs, cheetah, hyaenas and a leopard. 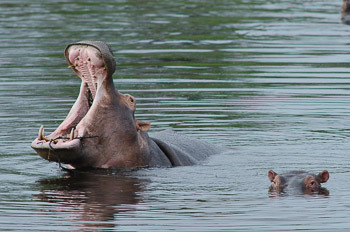 For more information about this park, visit the Hluhluwe-iMfolozi fact file link. You will be collected from your accommodation in St Lucia at approximately 5:00 and the coffee will be waiting for you in the car. We spend the entire day in search of game and from 15:00 start heading to the park’s exit. Depending on your requirements, we get back to St Lucia between 16:00 and 18:00. The cost of this safari is all inclusive (entrance fees, private transport, private guide, lunch, breakfast, snacks and all drinks). 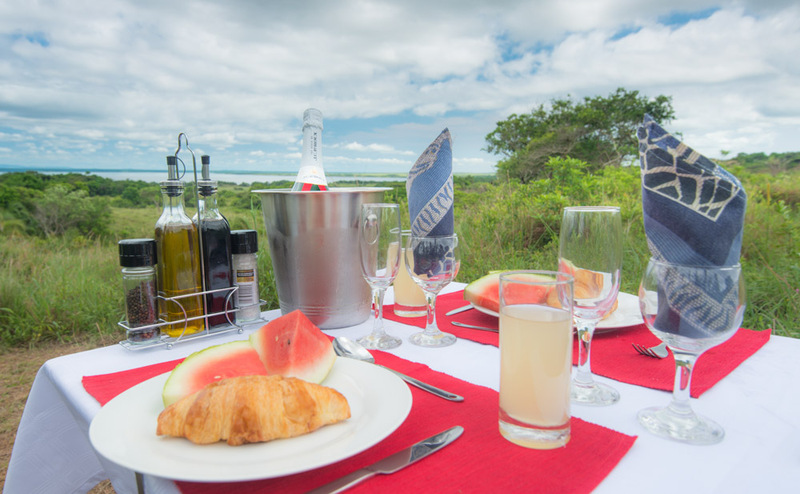 Can you see yourself enjoying a champagne breakfast while overlooking the vast savanna? With Tailor Made Safaris it is possible! Mkhuze Big 5 game drive: Like Hluhluwe-iMfolozi Park, all members of the Big 5 plus wild dogs, cheetah and hyaenas reside in Mkhuze Game Reserve. However, it is slightly further away and therefore slightly more expensive. Mkhuze is particularly suitable for those who have already visited Hluhluwe-iMfolozi Park or for those who wish to focus on bird watching. In Mkhuze, it’s possible to ‘tick off’ 100 birds in one day. The big attraction at Mkhuze (in the winter months at least) is the world renowned kuMasinga Hide where many animals come to drink only a few metres away from you. And because our safaris are private, you are the one who decides how long we spend at the hide! Now that's luxury! Apart from the animal and birdlife, Mkhuze is scenically beautiful and the picturesque Nsumo Pan is definitely worth a visit. 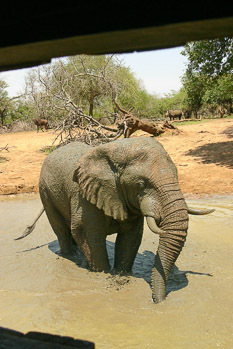 For more information about this park visit the Mkhuze Game Reserve fact file link. Daily departure at 5:00, expected return around 16:00. Remember, your safari is customised, meaning you determine the exact times. This safari is all inclusive (entrance fees, transport, private guide, lunch, breakfast, snacks and all drinks). Elephant and cheetah interaction: A favorite among our guests! 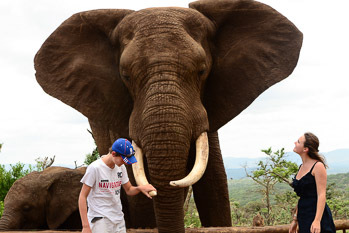 On this day trip you will experience close encounters with wild elephants that you can touch! A wonderful experience during which you will learn more about these intelligent animals. 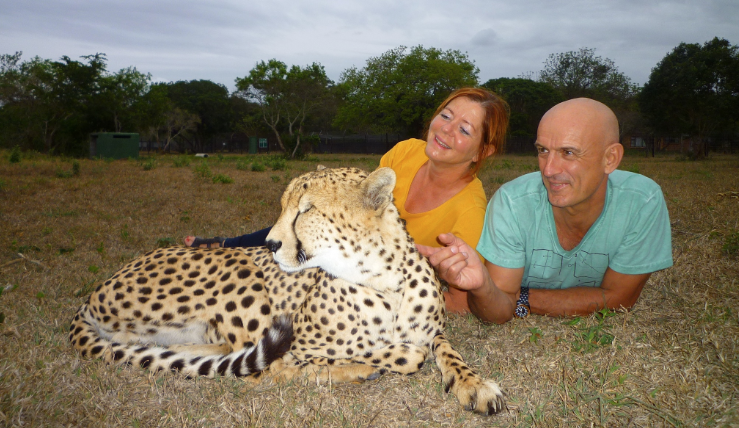 After lunch you have some time for souvenir shopping at a souvenir market, followed by an educational tour in the Emdoneni Cat Sanctuary where you can stroke a cheetah! Daily departure from St Lucia at 9:00, returning to your B&B around 19:00. This day trip is all inclusive (entrance fees, private transport, private guide, lunch, breakfast, snacks and all drinks). Close encounters with elephants and cheetahs is possible with Tailor Made Safaris! Enjoying our luxury catering in the middle of the bush! 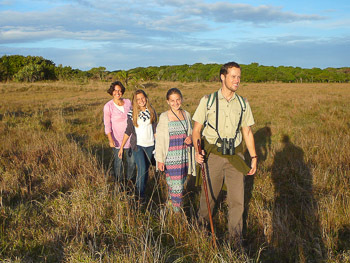 Coastal walking safari - our specialty! 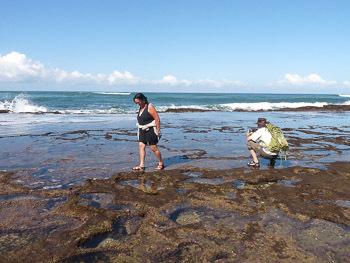 A half-day excursion to Mission Rocks where, at low tide, there is much to be discovered in the many rock pools. Our guides are the only ones in St Lucia with the FGASA Specialist Marine Guide qualification and can offer you an unrivalled experience! On this tour we drive you from St Lucia to Mission Rocks, where we’ll walk 100 metres along the rocky beach. 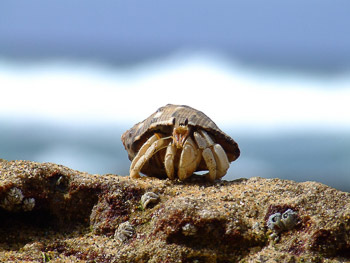 Here we find crabs, corals, anemones, shells, fish, sea cucumbers, snails, eels and many other forms of life. A fun and amazing activity. You'll be baffled about the amount of life present there, and how interesting their biology is! Daily departure two hours before low tide, returning approximately 2-3 hours after low tide. See Tides St Lucia for a tide table. 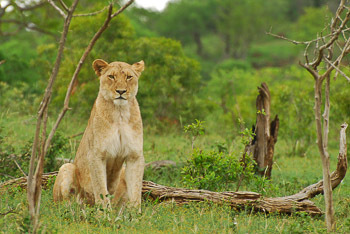 Safari includes private transport, entrance fees, private guide, snacks and drinks. Walking safaris around St Lucia: Have you had enough of all the time spent in vehicles? It’s time to stretch our legs! Our safari guides will take you on a walk around St Lucia during which they tell you more about the interesting history of the fragile ecology of St Lucia Estuary. The walk starts from the town centre, heads through the coastal forest to the beach, then back along the estuary through the iGwalagwala Trail and finishes at the town centre. During the walk, you have a chance to see whales from the beach and hippos and crocodiles in the estuary, as well as many birds. The distance is approximately 5km on road and well-maintained trails. Duration is approximately 4 hours. We do advise against going during the hottest part of the day although we do provide a drink along the way. 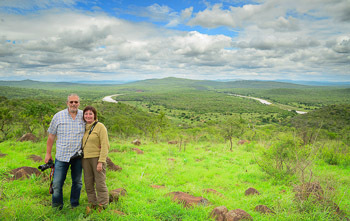 Walking Safari in St Lucia Game Park: Also a favourite! A half day walking safari amongst wild flowers, zebras, warthogs and antelope under the guidance of a knowledgeable and friendly safari guide. Your guide will tell you about the many tracks that you will see, as well as the medicinal use of wild flowers and trees. He/she will also provide interesting facts about the many animals that you may see when you walk through the beautiful savanna. Ideal as a fun afternoon activity, where you can experience a beautiful sunset over the St Lucia Estuary. Departure times are adjusted to your liking. The total distance is between 5 and 10km, with a duration of about 4-5 hours. Includes private guide and picnic (snacks and drinks). Do you require a transfer from A to B? No problem, we can take you wherever you need to go in comfort and style. And of course we understand if you are tired from a long journey or jetlag, hence we have pillows and blankets in the vehicle and you can rest on our reclining seats. Our transfers include private vehicle, private driver, petrol, tolls, coffee, tea and water but exclude entrance fees to the parks. A comfortable way to travel from A to B!